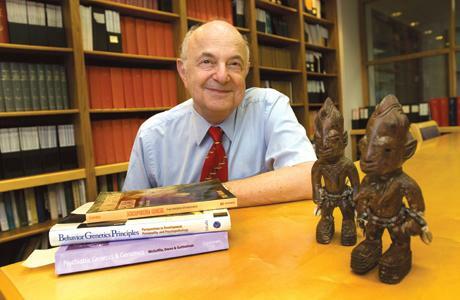 Prof. Irving Gottesman: What Is the Meaning of Life? Excellence Reporter: Prof. Gottesman, what is the meaning of life? Irving Gottesman: I am 85 and have not yet figured it out. Maybe when I hit 100 you can ask again. ~Irving Gottesman, professor of psychology at University of Minnesota, known internationally for his work in the field of behavioral and psychiatric genetics. He has mentored such ‘greats’ as Scarr, McGue, Goldsmith, Carey, Hanson, McGuffin, Farmer, and Turkheimer. Gottesman collaborates extensively, consulting in the field of psychiatric genetics in Denmark, U.K., China, Australia, Japan, and Germany.